Keep Your Deliveries Safe This Holiday Season | Basco Security, INC. This holiday season, you may be more inclined to do most of your shopping online in order to avoid the crowds at stores and malls. 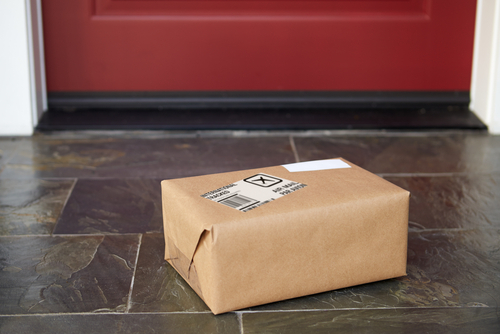 The ease of online shopping cuts a lot of time and hassle out of the process, but leaves your home vulnerable to break-ins and theft when a package is left unattended on your porch for too long. Tracking your packages is easy when still in transit, but recovering stolen items can be difficult. Take the following steps to make sure your packages are kept safe when you’re not home. While less convenient than opening your door and having your items right there on the porch, having them held at the post office or the local shipping service office until you can pick them up will ensure their safety and prevent theft. Most major shipping services will allow you to keep packages at their closest facility until your earliest convenience. You can also make sure a signature is required upon delivery. If no one is available to accept the package, a note will be left with instructions on how to pick up the delivery. If you are using Amazon Prime to do your shopping, you can have deliveries sent to an Amazon Locker. Available at nearly 2,000 locations nationwide, an Amazon Locker is a self-service locker that will hold your packages until you are ready to pick them up. Amazon Lockers are available at convenience stores, groceries and other easily accessible stores. The addition of security cameras to your property allow you to keep an eye out on the goings-on at your home when you are not around. Paired with motion sensor technology, a notification will be sent to your phone and email upon registering any activity. You will be able to see when your package is delivered, as well as any activity after. If your delivery is taken from your porch, you will be able to capture images of the burglar and alert the authorities with enough information to get your belongings back. If you are looking to keep your packages safe after delivery this holiday season, contact Basco Security for an estimate on security camera installation today! Basco Security can be reached by calling 781-294-4166 or filling out our online contact form.